Events for dogs and their humans! Tail Trails – Adventures for you and your dog – established 2018. Trail running, jogging or walking with your dog, plus dog challenges all rolled into one memorable event. Whether your dog is a canine champion; only lives for a stick or revels in sitting on the couch – there will be something for everyone. 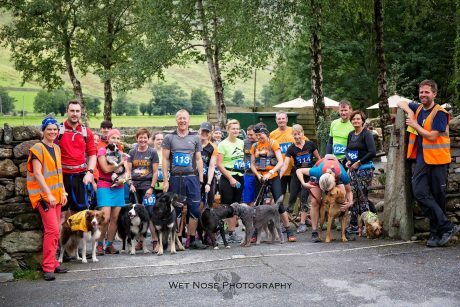 Dogs (and their humans) of all ages, shapes, sizes and breeds are welcome to take part and compete in this event where the emphasis is on fun…! Our next event is on Saturday 2nd March at Witton Country Park in Lancashire. Full details can be found HERE. If you would like to know more about our future plans then please join our mailing list and follow our Tail Trails Events facebook page. Please note that we want to encourage responsible dog ownership in the countryside, all dogs must be under close control at all times and must be on a lead during the event. This is to ensure our furry friends do not injure livestock or habitats and also gives assurance to local landowners and stakeholders, without whose support we cannot organise events like this. Tail Trails events for dogs and their humans.